Excess stress and burning out can cause major disturbances in your life. Often people don't understand the impact of stress. 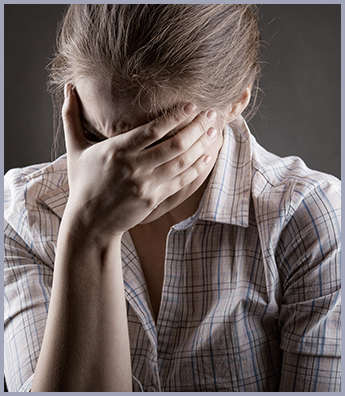 Talk to Stress Free Counseling about how to help reduce stress associated with Post Traumatic Stress Disorder, Generalized Anxiety Disorder, anxiety attacks, and feel less stressed out. As you learn effective stress reduction techniques and coping skills through our cognitive behavioral therapy techniques, your life will return to a more serene level. Your stress reaction is simply a response to some type of stimuli, whether they are internal or external. This is the situation going around you that you are sensing. How do you interpret this situation and what does it mean? While many situations in life can be hard to deal with, leaving us without any control over the situation, it is possible to find some ways to cope with stressful situations. For example, a married couple contemplating divorce is a common counseling situation. Couples counseling might offer a safe and impartial arena for the couple to reconnect and find common ground in working towards saving their relationship. As counseling is introduced, stress levels can be lowered and functioning enhanced. While counseling can't control all of life's outcomes, such as a death of a loved one, counseling can offer ways to lower stress and burnout levels. With this in mind, please take a moment to review the list of some of the stress/burnout symptoms. If you feel that you have a number of these symptoms, you might decide that counseling will be a great benefit to your life. Please give us a call to set up an appointment to discuss your needs.